« Neptune Township Zoning Board of Adjustment votes unanimously to change the zoning for the Aurora property on Surf Avenue. 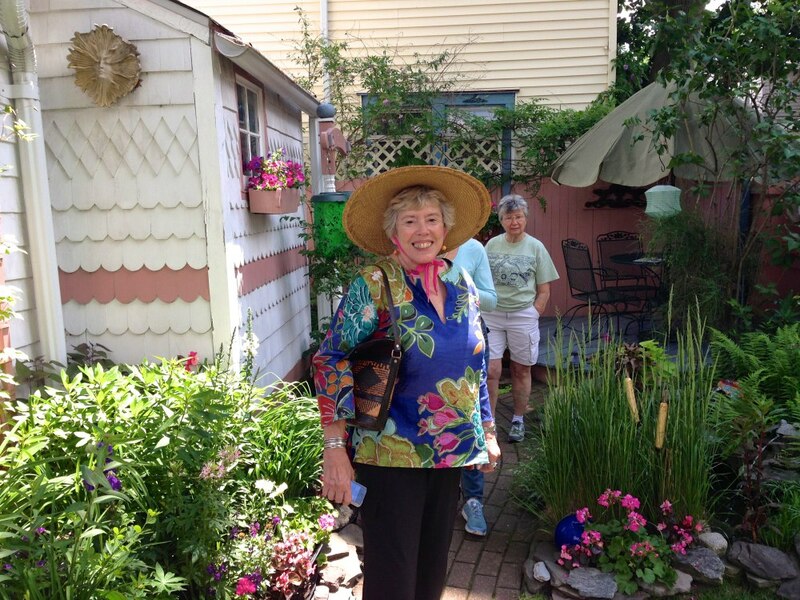 The OG People’s Garden Tour—4th edition featuring our wonderful small botanic gardens. We spotted this garden while walking through the mountains to reach the Great Auditorium. Blogfinger photo 6/7/18. Click to enlarge. Miss Peggy has been spinning her garden wheels at the OG Woman’s Club. Our town’s gardens often contain surprises. Blogfinger photo 6/7/18. This event was devised in 2014 as a neighborhood get-together. 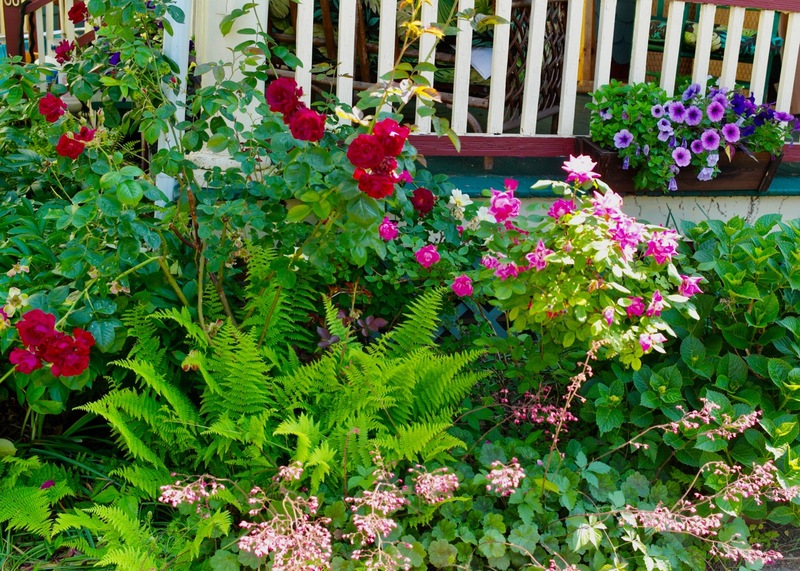 We have so many unique, innovative small gardens in town, and wouldn’t it be fine to have Grover gardeners share their mini-botanic spaces with each other—-to visit on a Sunday; socialize and talk plants in June when everything is peaking? 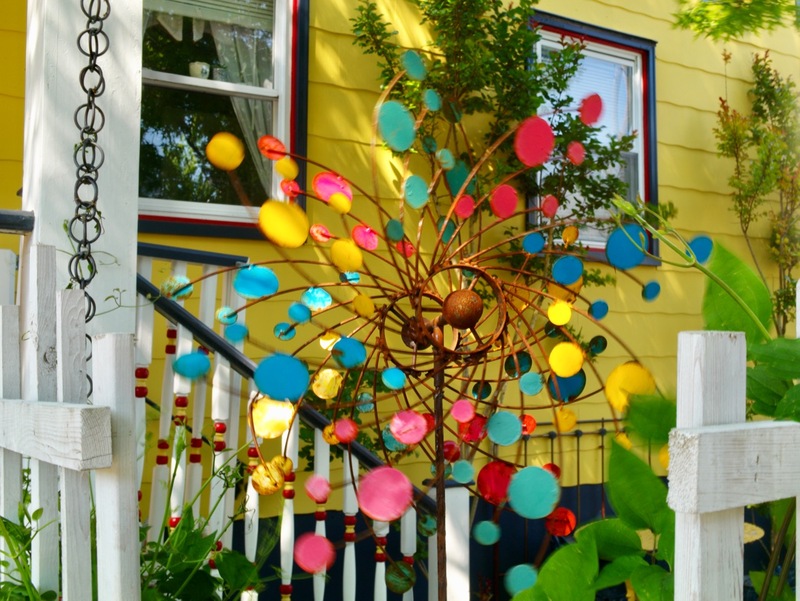 We have too few community events in Ocean Grove, and the People’s Garden Tour is a low key happening that creates no grid lock, just good will. Neighbors and visitors can come by foot, by bicycle or even by driving around. It was not held in the last two years, but when we did it before, it was always fun, and even though it is primarily for neighbors, we did have some visitors from other shore towns join us in the past for a walk around our town, and they were welcome. The date is Sunday, June 24 from 10 am to 2 pm. Rain or shine. At present we have one garden: Eileen Goldfinger’s at 113 Mt. Hermon Way. Enter on Delaware Ave. We have a pond with fish, a fountain from Italy, an Etruscan Horse, and lots of flowering plants—all in a small space where you have to tip toe. The 1st Annual People’s Garden Tour of 2014. Blogfinger photo. We are beginning a list of participants. But, even if there is one or two gardens, we will be there to welcome whoever shows up. If any other OG gardeners want to open their botanic creations for flower/plant people, just tell us your name, address, and perhaps a few sentences about what might be special about your small space. Send us your info by email to Blogfinger@verizon.net. There will be no advertising——just word of mouth.